Safari print takes over the latest Nike Air Force 1 Low and is available now. 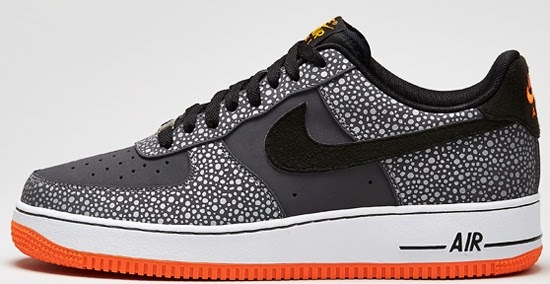 Released alongside the "Safari" Nike Air Foamposite One Premium, this Nike Air Force 1 Low also features "Safari" print details throughout the upper. 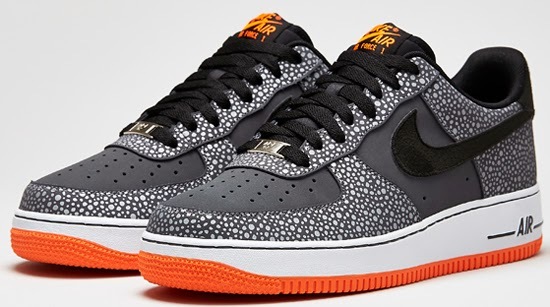 These come in a dark grey, black and total orange colorway. 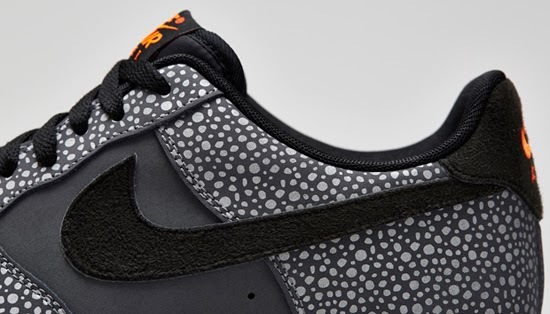 Featuring a grey based upper with black and orange accents along with a white midsole. A general release, they are available now at select Nike accounts worldwide and were released today, Wednesday, November 27th, 2013. Retail is set at $100. 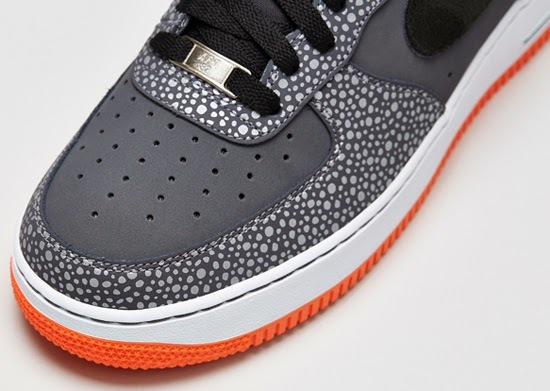 Enjoy the official images below of the "Safari" Nike Air Force 1 Low in dark grey, black and total orange. If you're interested in picking these up, check in with your local spots to see if they received them. Those of you looking for a pair now can, grab them from eBay here.